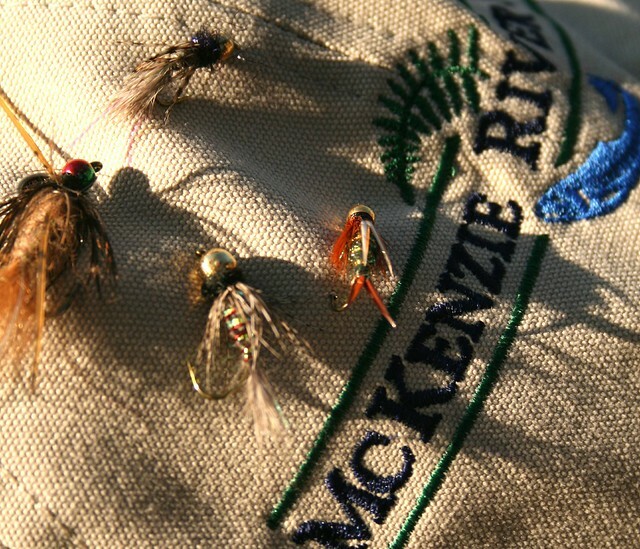 Mark your calendars for the sixth annual McKenzie River Two-Fly Tournament October 5th 2013, brought to you by the Caddis Fly Angling Shop and your local native-fish supporting guides. Since it’s inception, the tournament has raised $25,000 for habitat restoration on the McKenzie River. This is your chance to fish with some of the best guides on the river at the best time of the year to catch big wild trout. And all funds go to help protect and restore our resource. The event starts on a Friday night October 4th, with a group of anglers, conservationists, and family gathering around your favorite fly shop, buzzing with fishing chatter and local Ninkasi beer on tap. Mazzi’s portable woodfire pizza oven in the parking lot, kids piling ripe local vegetables, sausage and cheese on fresh tossed dough. A representative from McKenzie River Trust will talk about the work that organization was doing. Good work, taking care of the land around our river and putting it back into the floodplain, repairing broken, nearly invisible systems that are integral to the river’s survival into the coming decades. The rules are simple: Anglers fish in teams of two. Each picks two flies. Take photos of them, don’t lose them. Fish 9am to 5pm. Guides are judges, tape your biggest fish and take a digital snapshot. Your three biggest fish might add up to a win. Prizes TBD this year, but past winners have walked away with gorgeous fly rod and reel outfits, resort accommodations, and other fly fishing gear. Special thanks to the guides who sacrifice a day’s pay in the best part of the year to give back to the resource. Cost is $750 per boat, or $375 per angler. Contact the shop for details on how to register 541-342-7005. Space is limited, so sign up now.